This recording highlights the principal joy of working with oral history. That is, the fact that it is about people. Everybody has a story to tell, but some tell them better than others. Mrs Irene Cranwell from the village of Chrishall in Essex falls into the category of characters whose personality bursts out of the recorded interview, and in this extract she describes her somewhat unusual driving test in Cambridge. Irene Cranwell died in 2010 at the age of 99, having become a local celebrity through regular contributions to a BBC Cambridgeshire radio show. She had been a teacher at Chrishall village school and later worked at Barkway First School and Icknield Walk First School in Royston. She also, apparently, had an impressive knowledge of local history and started a museum in Chrishall based on her own collection. When listening to oral history interviews we should not forget the contribution of the interviewer who, in this case, has created a relaxed and congenial atmosphere, allowing the interviewee to express herself in a free and uninhibited manner. Martin Astell Sound Archivist NB. 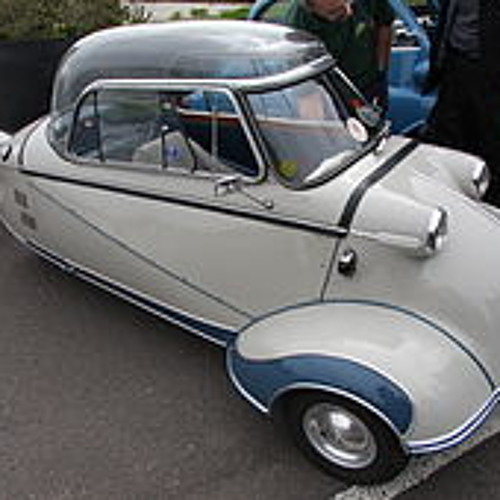 Photo credit: "Messerschmitt Bubble Car" by Brian Snelson from Hockley, Essex, England (Messerschmitt bubble car) [CC-BY-2.0 (http://creativecommons.org/licenses/by/2.0)], via Wikimedia Commons The Essex Record Office can preserve your old recordings, or provide talks and training on oral history and sound archives. To find out more about the services we offer, visit our website - www.essexrecordoffice.co.uk/services/sound-video-services/.